The Showrunner, Kim Moritsugu's latest novel, is one of those books in which the reader reaches a certain point in the text and just cannot stop reading as the story spirals into mayhem and, well, murder. In this list, she shares other titles that are just as unputdownable, in which women authors are "killing it," literally and otherwise. 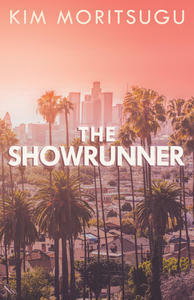 Strong, outspoken women rule in the seven novels I've had published to date, including my latest, The Showrunner: it's about two women battling for control of the primetime TV drama they co-created, and a third woman who comes between them and plays both sides against the middle, with deadly results. In other words, the three women characters are "killing it," so I was thrilled to be invited to the 2018 Women Killing It Crime Writers' Festival, to be held in Ontario's Prince Edward County during Labour Day weekend. With a nod to some of this year's Women Killing It authors (who are noted here with an asterisk), here's a recommended reading list of books—some recent releases, some backlist beauties—written by a sampling of the many Canadian women writers who write for and about women, and are killing it in their respective genres. About the book: From fall to spring, the inhabitants of Edgewood Drive in the small town of Parkville prove that the simplest lives can be intricate and complicated. The interwoven, layered narrative of Michelle Berry’s Interference moves between Senior Ladies Leisure League hockey, the unsure and awkward life of pre-teens and teens, suspected pedophilia, disfigurement, and cancer. In Interference, there is always someone watching, biding their time—and as this suspense builds the vivaciousness of a congenial neighbourhood, full of life and happiness as well as fear and sorrow, becomes at once more humorous, frightening, and real. For a practical guide on how to write mysteries, read Sleuth: Gail Bowen on Writing Mysteries, from Canadian crime fiction queen Gail Bowen*. For a witty cozy about an observant and irreverent bookshop owner, read Elementary, She Read: A Sherlock Holmes Bookshop Mystery, by Vicki Delany*. About the book: Gemma Doyle, a transplanted Englishwoman, has returned to the quaint town of West London on Cape Cod to manage her Great Uncle Arthur's Sherlock Holmes Bookshop and Emporium. The shop—located at 222 Baker Street—specializes in the Holmes canon and pastiche, and is also the home of Moriarty the cat. When Gemma finds a rare and potentially valuable magazine containing the first Sherlock Homes story hidden in the bookshop, she and her friend Jayne (who runs the adjoining Mrs. Hudson's Tea Room) set off to find the owner, only to stumble upon a dead body. For a fascinating memoir about forging new family connections after being dumped by her spouse when eight weeks pregnant, read Camilla Gibb's This is Happy. About the book: In this profoundly moving memoir, Camilla Gibb, the award-winning, bestselling author of Sweetness in the Belly and The Beauty of Humanity Movement, reveals the intensity of the grief that besieged her as the happiness of a longed for family shattered. Grief that lived in a potent mix with the solace that arose with the creation of another, most unexpected family. A family constituted by a small cast of resilient souls, adults broken in the way many of us are, united in love for a child. Reflecting on tangled moments of past sadness and joy, alienation and belonging, Gibb revisits her stories now in relation to the happy daughter who will inherit them, and she finds there new meaning and beauty. For a propulsive gothic-style girls' boarding school mystery that flashes back to late 90's Switzerland, read The Finishing School, by Joanna Goodman. About the book: How far would you go to uncover the truth? One spring night in 1998 the beautiful Cressida Strauss plunges from a fourth-floor balcony at the Lycée Internationale Suisse with catastrophic consequences. Loath to draw negative publicity to the school, a bastion of European wealth and glamour, officials quickly dismiss the incident as an accident, but questions remain: Was it a suicide attempt? Or was Cressida pushed? It was no secret that she had a selfish streak and had earned as many enemies as allies in her tenure at the school. For her best friend, scholarship student Kersti Kuusk, the lingering questions surrounding Cressida's fall continue to nag long after she leaves the Lycée. For a lyrical mix of memoir and fiction about the meaning of home, read Belonging: Home Away From Home, by ex-pat writer, poet, and creative writing teacher Isabel Huggan. About the book: Belonging is pure pleasure to read—entertaining, beautifully written, laced with gentle humour and perceptive insights. Shifting from memoir to fiction, it focuses on the commonplace experiences underlying our lives that are the true basis for storytelling. At the book’s core is Isabel Huggan’s old house in rural France, from where she contemplates the real meaning of “home,” and the mysterious manner in which memory gives substance to ordinary things around us. With a light touch, she brings to life the people she has met in her travels from whom valuable lessons have been learned. For an entertaining police procedural set in a dystopian post-apocalyptic cityscape, read The Bathwater Conspiracy, by Janet Kellough*. About the book: Detective Carson “Mac” MacHenry can’t figure out why the Darmes are so interested in this one dead girl or why the secretive federal police have rushed the autopsy or why, a few days later, the records of the dead girl's murder have been erased from all official government channels. Even stranger to the detective is the manner of death—injuries consistent with a violent beating and sexual assault. Crimes rarely seen in current society. Crimes eradicated decades earlier. The Bathwater Conspiracy follows Mac and her partner Nguyen as they wander a dystopian post-apocalyptic cityscape in search of clues to Alfreda Longwell's murder. Their off-the-books investigation leads them from the halls of Alfreda's university to the Decayed Area, a blasted wasteland at the city’s edge where technophobic religious fundamentalists struggle with scavengers and lunatics in a never-ending fight for survival. Janet Kellough’s latest novel offers a tightly-plotted mystery and a fascinating glimpse at genetic engineering run amok in a near-future world. Touching on issues of bioethics, gender, religion, and more, The Bathwater Conspiracy will appeal to fans of science fiction, post-apocalyptic fiction, and police procedurals alike. For an exciting YA adventure about a secret group of intrepid female private investigators in Victorian London, read The Agency 1: A Spy in the House, by Y.S. Lee*. About the book: Rescued from the gallows in 1850s London, young orphan (and thief) Mary Quinn is surprised to be offered a singular education, instruction in fine manners—and an unusual vocation. Miss Scrimshaw’s Academy for Girls is a cover for an all-female investigative unit called The Agency, and at seventeen, Mary is about to put her training to the test. Assuming the guise of a lady’s companion, she must infiltrate a rich merchant’s home in hopes of tracing his missing cargo ships. But the household is full of dangerous deceptions, and there is no one to trust—or is there? Packed with action and suspense, banter and romance, and evoking the gritty backstreets of Victorian London, this breezy mystery debuts a daring young detective who lives by her wits while uncovering secrets—including those of her own past. For a twisty psychological thriller about a treacherous woman that does not include the word 'girl' in its title, read Our Little Secret, by Roz Nay. About the book: The detective wants to know what happened to Saskia, as if I could just skip to the ending and all would be well. But stories begin at the beginning and some secrets have to be earned. Rising-star showrunner Stacey McCreedy has one goal: to leave behind her nerd-girl origins and become a power player—like Ann Dalloni, her former mentor and current producing partner. Ann, meanwhile, is feeling her age and losing her mind. But she’ll be damned if she cedes control of their hit primetime TV show to Stacey.